Please arrive no later than 10:30am. The tour will start promptly at 10:45 am, if you arrive after you will not be permitted to enter the cave. The tours into the cave are led by a guide. Meet in front of the state park building, opposite the cave opening. 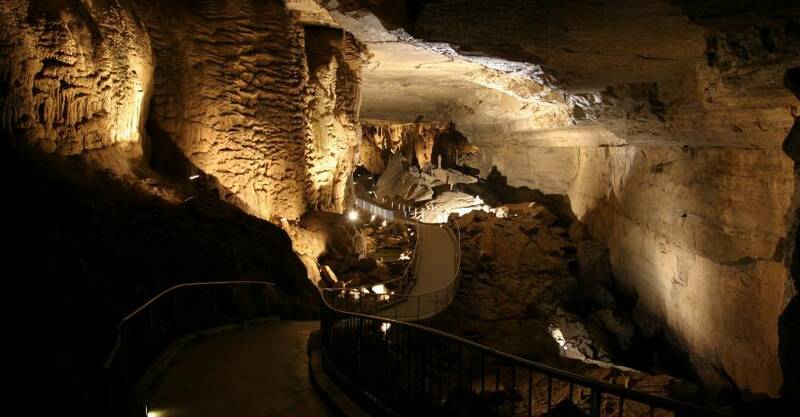 Join us on a guided tour through Cathedral Caverns. The guide will take us into the cave formally known as Bat Cave and provide us with information about the many incredible rock formations featured there, one of them being one of the largest stalagmites in the world. The cave stays 60 degrees year round. The tour is approximately 1 hour 15 minutes. The path is wheelchair and stroller accessible, but there are steep inclines at times. The paying children will mine for gems after the tour of the cave is completed. When we are all finished there are pavilions where you can bring and have a picnic lunch. There is no food available on site. There is a small gift shop. Feel free to invite grandparents, cousins, etc. to join us on our tour. They must also RSVP and Pay prior to the deadline. There is plenty of parking available. Campsites are also available, but please call the office at (256) 728-8193 to reserve your spot.